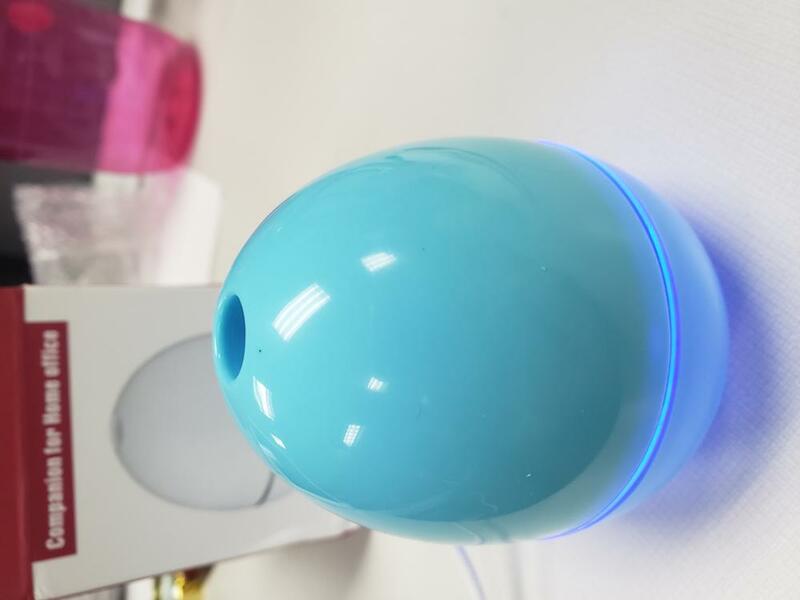 This car humidifier is perfect to purify the air, which can lift the mood and relieve stress. 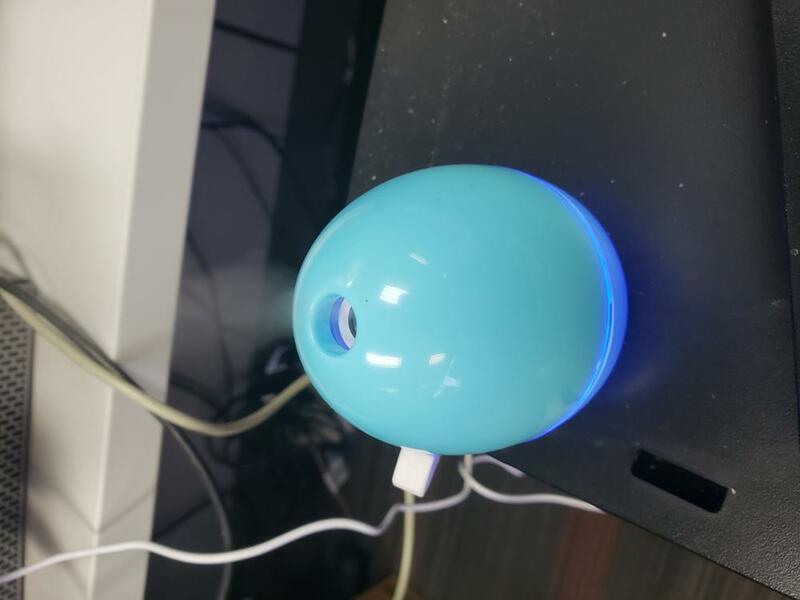 The fine mist sent out can remove the static electricity, reduce the radiation generated by electronic components and decrease the formaldehyde contamination, or that of dust and of other harmful gas. Super quiet when working. Size: Approx. 6 x 6 x 7.8cm. Spray quantity: Larger than 30ml per hour. 360 degrees rotating spray. 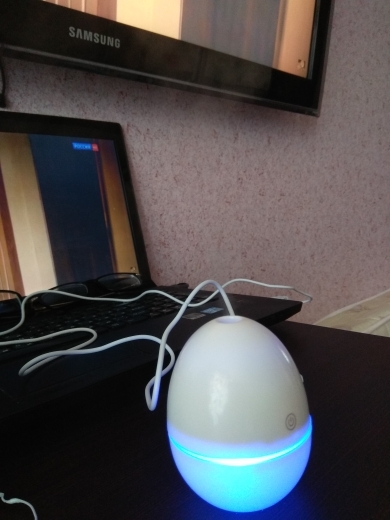 Can increase humidity of air, reducing dust and bacteria, protect you from dry air, cold, flu, cracked skin in the winter and air conditioning environment. Get rid of static, reduce the radiation and sterilize. Quiet ultrasonic operation. Advanced sound insulation technology, really less than 35 decibels. Auto shut off in 2 hours, prevents potential harm when water runs out. 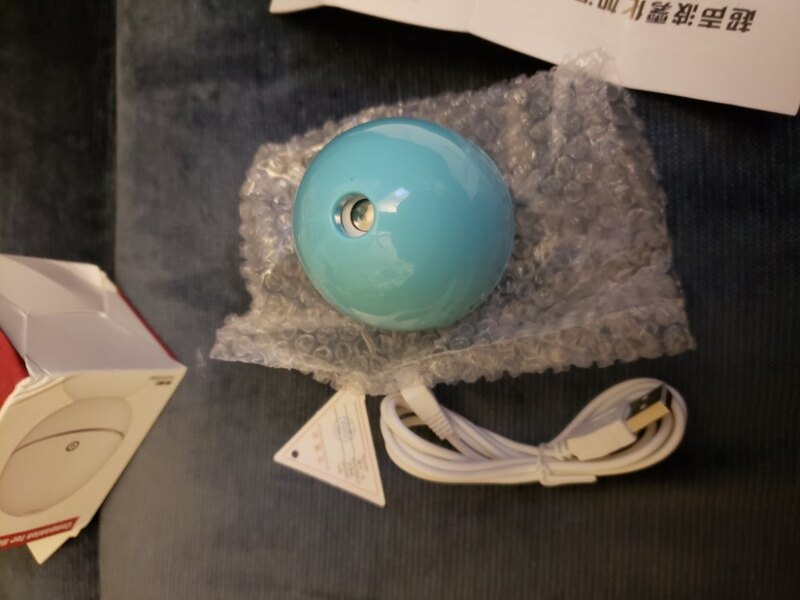 Cool Mist Humidifier with unique egg shape design. Help you breathe easily and sleep better. Ideal decoration for Car, Bedroom, Office, etc. With colorful gentle light, great as a night light. Light weight, easy to carry, convenient for travelling. 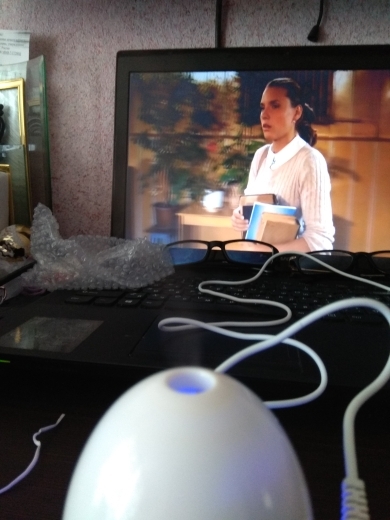 I have seen edible eggs bigger than this :D The egg lights up and blows steam. 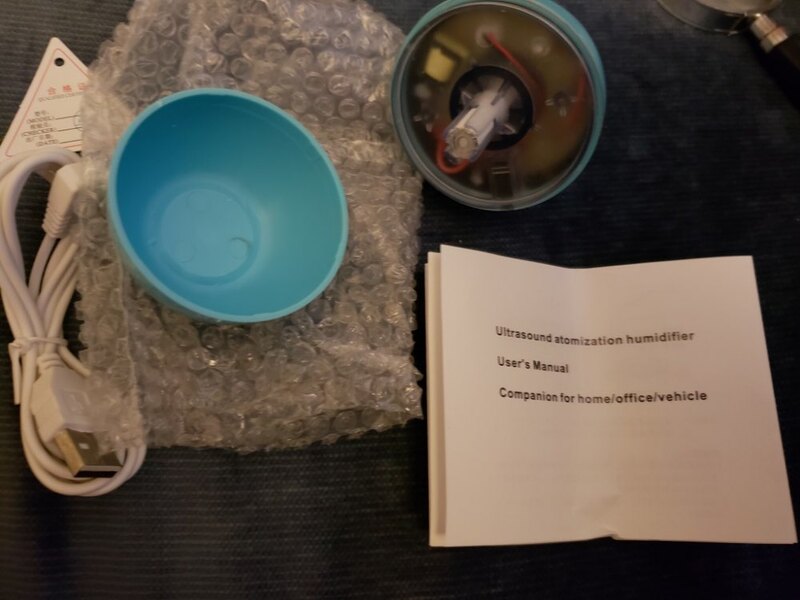 I have seen edible eggs bigger than this :D The egg lights up and blows steam... but the plug is very sensitive, the tiniest move disconnects it. Also, it had to be full of water to blow steam. When it was about 3/4 full, it lit up but no steam. (first pic - no steam, second, has steam) Also, it got warm. Still.. a cute little thing, ok for the price.